The Sasha gown features hundreds of individually embroidered silk rosettes appliqued onto a strapless gown. Featuring metallic silver belt, this gown is the perfect choice for your special day. Concealed back zipper with hook and eye closure. Femininity exudes from the heavy silk crepe Jane gown. 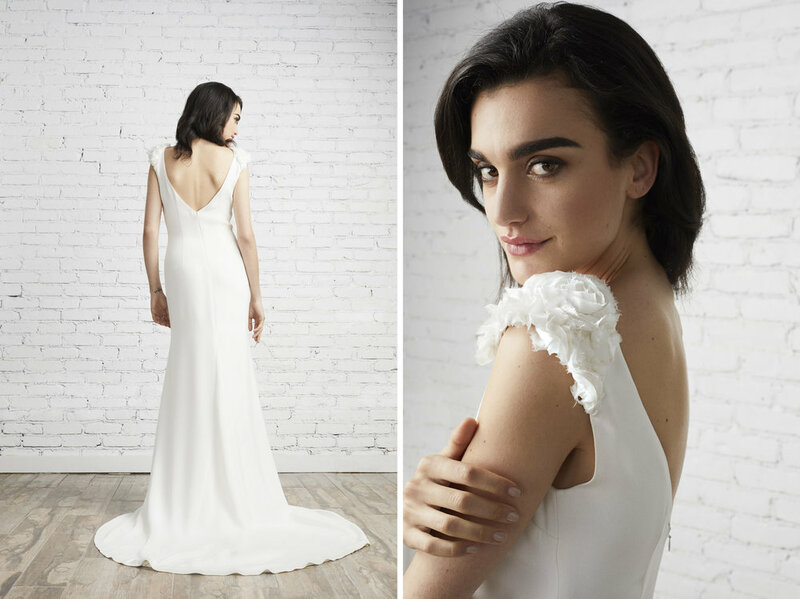 This dress is the perfect combination of hard and soft with its deep front and back v-neck and strong shoulder of handmade silk rosettes. This gown is sure to turn heads with its dramatic train made of the most elegant silk. Concealed back zipper with hook-and-eye closure.